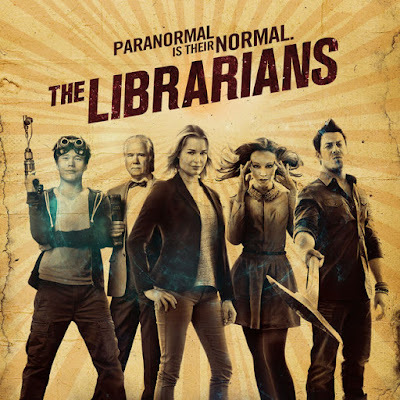 After being missing for a while the other Librarians go to check on them and find the cinema owner, Jade, somewhat perturbed that one of her theatres now has Flynn and Eve looking for a way out and being unable to communicate with the outside world. 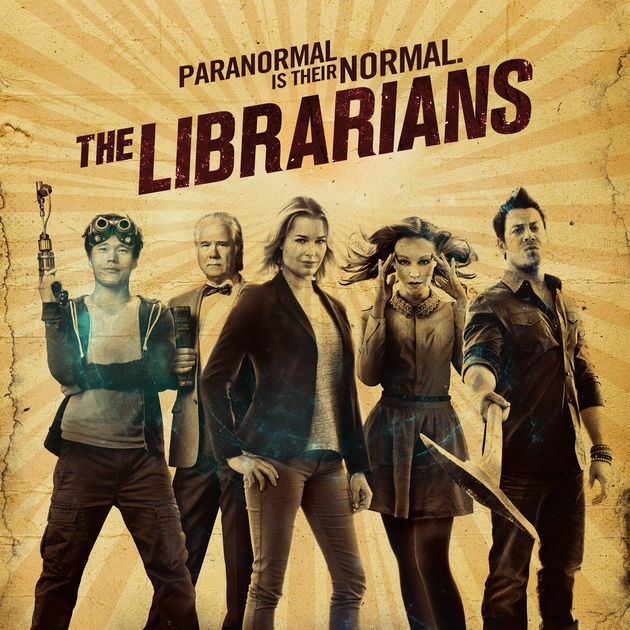 At least Jake has finally realised he can’t sell the “we’re Librarians” line. Ezekiel et al think they should just go into the film themselves to find the answers. Jenkins disagrees with doing something so reckless and foolish. Of course they do it. Poor Jenkins. It’s not old age that makes him grey, it’s generations of Librarian shenanigans. The b team don’t end up in the same film as Flynn and Eve: they end up in a terrible musical western and then into an even more terrible sci-fi film. They get to the end of the film, triumphantly finish it… and end up back in the beginning again. He also finds Jade’s father’s scripts - only they have a different name on them. It seems her dad took stories someone else wrote and changed them: so Eve and Flynn can’t finish the story because this isn’t the way it was supposed to end.